There’s nothing better, I think, than the joy of giving to those in need. THANKSGIVING DINNER, Nov. 21, 5-7 p.m. In the spirit of giving to those who are seeking something to be thankful for, more than three dozen students, from Suffolk County Community College’s Culinary Arts program, are to prepare about 200 dinners for Community Action Southold Town’s (CAST, an organization that serves low-income individuals and families on the North Fork) Thanksgiving Dinner, held on Nov. 21 at Clinton Memorial A.M.E. Zion Church, 614 Third St., Greenport. The dinner prep is set to take place that day, at the Suffolk County Community College Culinary Arts and Hospitality Center in Riverhead. 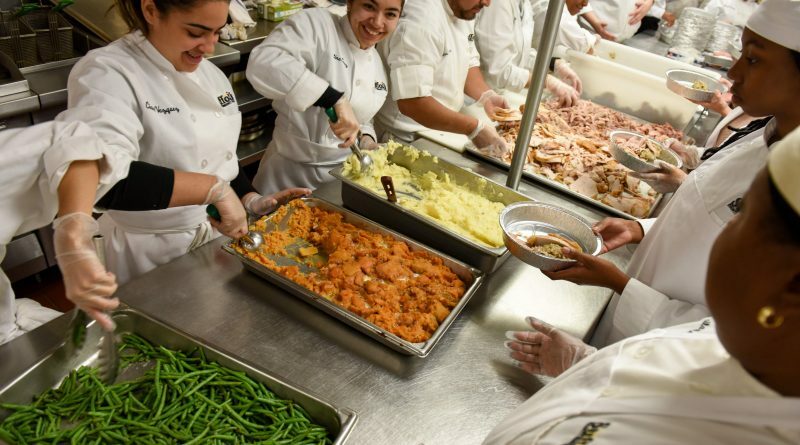 The meals (with ingredients provided by CAST) will include typical Thanksgiving favorites, like sweet potatoes, stuffing, pumpkin pies and, of course, turkeys. To those who would like to attend the dinner or take a meal home, RSVPs requested by Nov. 16 (but will be taken through Nov. 20) to Helen Lopez at 631-477-1717 or hlopez@castsoutholdtown.org. Details: castsoutholdtown.org. TURKEY DRIVE, Nov. 16, 7 a.m.-6:30 p.m. Get in on the “giving” fun and participate in Island Harvest’s 10th annual Turkey Drive, to be held Nov. 16, at Bethpage Federal Credit Union, 899 S. Oyster Bay Road, Bethpage. Bring frozen turkeys or non-perishable items; monetary donations are also being accepted. Hours: 7 a.m.-6:30 p.m. islandharvest.org.